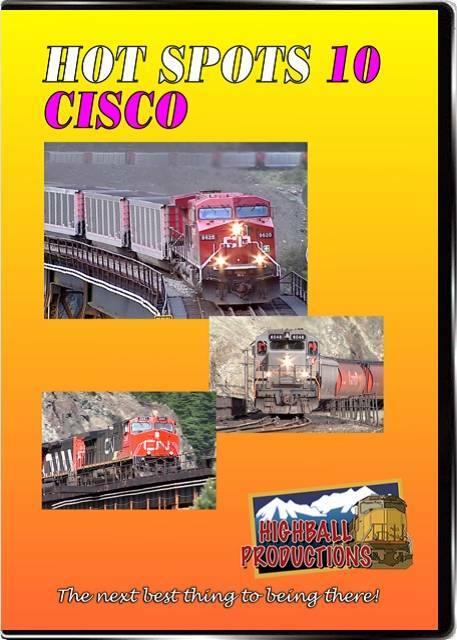 Cisco is the point in the Fraser River Canyon where CN & CP cross each other and the Fraser on big steel trestles. This highly scenic location sees plenty of trains from both carriers, CN in particular running some huge freights. Directional running is now the norm, with westbounds on CP and eastbounds on CN. Two days of trains!